A child dreams of flying. Little girl draws paints on the glass. hd00:21A child dreams of flying. Little girl draws a balloon. hd00:10The child draws on the glass. 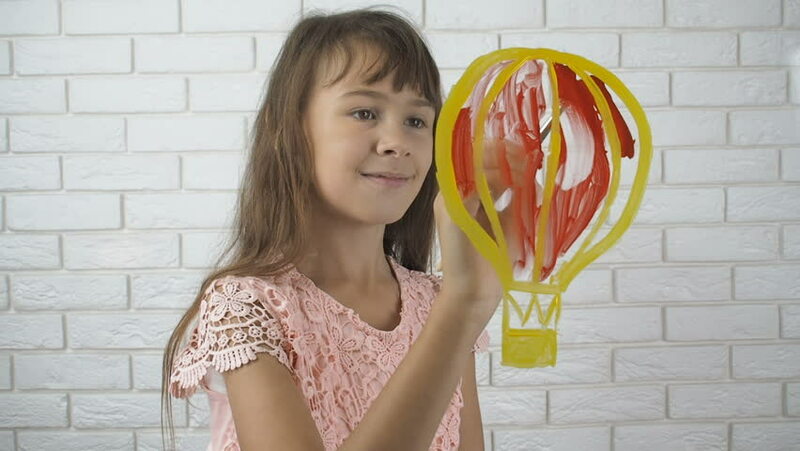 A little girl paints a balloon. hd00:11Weather forecast. The child is angry at the rain cloud.